In 1905, the British transferred the administration of British New Guinea to Australia, which changed the name of the territory to "Papua." 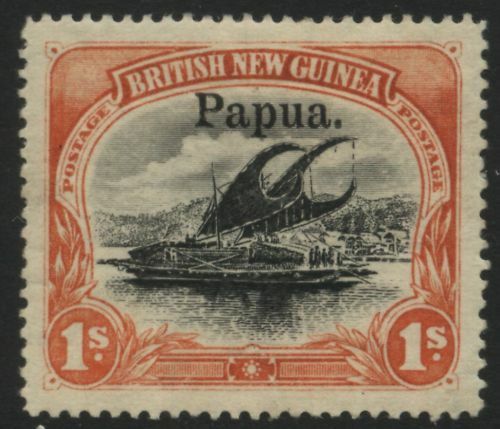 In 1906 and '07, the Australians overprinted the original British New Guinea 1901 Lakatoi stamps with the territory's new name. 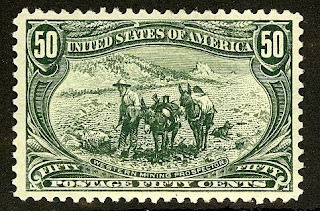 Two different overprints were used, creating two sets - the 1906 set with the large overprint (Scott #11-18), and the 1907 set with the small overprint (Scott #19-26). 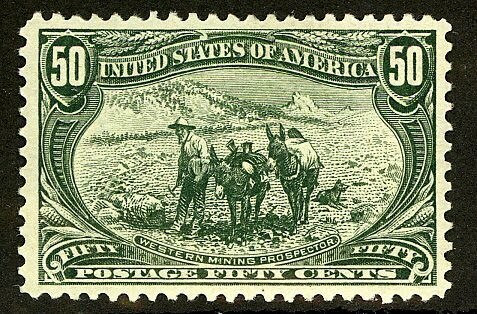 Both are scarce, and in my opinion, grossly undervalued, as only 2,730 of #11-18 and 5,135 of #19-26 were issued, and Scott '11 prices them unused at $604.50 and $242.00, respectively.